Find free classified ads for Antiques for sale, collectibles for sale for sale and to buy in Portsmouth. Shown below are classifieds for Antiques for sale, collectibles for sale. Please use search box above to find other items in Antiques for sale, collectibles for sale Portsmouth or look at the Portsmouth for neighboring places in the locality. RARE OLD 1950's parafin heater, in good working order, comes with a gallon of parafin in a new container.Would be great for your alottment shed or green house on these cold evenings. please call, or Text, £35.00 ono, --..
Dandy/Beano Model car still boxed and never opened! Colour of box dis-coloured and small tear in plastic cover. Been left to collect dust! However to a collector this may be of some interest. Collection Only..
RARE OLD 1950's parafin heater, in good working order, comes with a gallon of parafin in a new container.Would be great for your alottment shed or green house on these cold evenings. please call, or Text, , £35.00 ono, --..
Liverpool Fc have proved to be a dominant force in English and European football in recent years, and i am proud to present this stunning tribute to Liverpool's greatest victories. These Six placemats & coasters each show a different moment of glory, from Bill Shankly Winning the league to winning the european cup, as Liverpool triumph at home and abroad! Heat-resistant and highly durable, the placemats and coasters have a soft felt backing to protect your table. OK Here is an official signed liverpool fc dirk kuyt shirt never been opened has always stayed in its plastic wallet has certificate of authenticity and is for sale sensible offers please all liverpool fans if your like me will value this very highly and personally its a great gift for yourself or for someone else this christmas . THE ANNOYING Thing, Crazy Frog, Blue with brown leather jacket, Crash helmet & goggle's, With the annoying ring tone, As new with tag. , £5.00 , Portsmouth, --..
China dolls. I have a collection of china dolls for sale from five pounds each, would consider selling as a job lot for a resonable offer. They would be a nice edition to a collection or a great starter set for somebody. Most are boxed and all in great condition! £5. VERY COLLECTABLE Original 'Robert Harrop' Beano & Dandy figurines, Desperate Dan, Dennis, Gnasher, Plug plus lots more, vvgc prices from, £8.00 , Portsmouth, --..
CASH FOR GOLD. BROKEN OR UNWANTED. - top cash paid for all broken or unwanted gold. i can call any time, sort out your boxes for that odd earring. 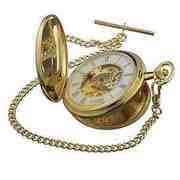 rings watches, chains pendants, coins, unmarked gold, war medals. - Price: £1000. 65 Forever Friends Gifts Small Teddy Bear Ornament in Gift Box. 12 Designs - includes bear with rose, letter, champagne bottle etc. Comes with Display stand From a smoke free environment. Normal cards 10p each Special Edition cards (E F and G) £1 each 008 Extrapolator (Equipment) 013 Jackie Tyler (the christmas invasion) 022 Matron Casp (new earth) 024 Zombie Patient (new earth) 027 Sir Robert (tooth and claw) 028 Father Angelo (tooth and claw) 030 K-9 Mark III (school reunion) 032. New Orleans Plate, Bourbon Street Lousiana. Some slight damage to images. Can deliver if you live in the Portsmouth area. THE ANNOYING Thing, Crazy Frog, Blue with brown leather jacket, Crash helmet & goggle's, With the annoying ring tone, As new with tag. £5, Portsmouth, --..
United Kingdom free classified ads for Antiques for sale, collectibles for sale, Portsmouth, Antiques for sale, collectibles for sale free ads Portsmouth, Antiques for sale, collectibles for sale for sale Portsmouth, Antiques for sale, collectibles for sale to buy in Portsmouth. This page is a listing of classified ads for Antiques for sale, collectibles for sale category in Portsmouth. This section includes classifieds for sale and to buy in Portsmouth. Antiques for sale, collectibles for sale Portsmouth ads Portsmouth, Antiques for sale, collectibles for sale classifieds Portsmouth, Antiques for sale, collectibles for sale free ads Portsmouth, ads for sale Portsmouth, ads to buy Portsmouth, FREEADS in UK. Find here ads for sale, to buy and rent in Portsmouth. Goods for sale in Portsmouth, vehicles for sale in Portsmouth, Portsmouth real estate for sale, Portsmouth property for sale, property for rent in Portsmouth, business ads in Portsmouth, Portsmouth business classifieds, services in Portsmouth, Portsmouth services ads, jobs in Portsmouth, pets for sale in Portsmouth, Portsmouth dating, Portsmouth cars for sale.